Arts and crafts have always been an integral part of Christmas tradition. There are plenty of ways to get involved and spend some quality time with the family. Christmas is by far my absolute favorite holiday. Everything about Christmas, from the music to the craze filled family gatherings, brings about a warm and fuzzy feeling. The reason why I look forward to Christmas is because Christmas has become the only time of the year where I can finally slow down, relax, and spend some quality time with my family. Because I had always loved arts and crafts as a kid, my mother started the tradition of making homemade Christmas crafts. She was killing two birds with one stone by creating quality family time and getting all her Christmas decorations complete long before Christmas. In lieu of the Christmas spirit, I hope to share with you some of my all-time favorite homemade Christmas traditions. Time to bust out the scissors and glue! My family has always had an affinity for Christmas cards. We love making them and we love sending them out. Depending on how much time you have, you can start from scratch or buy some blank cards. I like to make mine from scratch with supplies from my local arts and crafts. 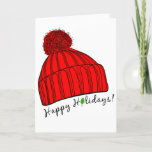 If you do not wish to start from scratch you can find ways to personalize and decorate pre-printed cards. There is a lot of freedom when it comes to making or personalizing your cards; explore all options and go crazy with them! Supplies: paper (try and invest in some thick, quality paper), scissors, glue, paint, paintbrushes, markers, pens. Optional items: glitter, stickers, stick on “bling”. Ornaments serve as great Christmas decoration or even as gifts. Often times, home goods or arts and crafts stores will sell a pack of ornaments that aren’t colored or decorated. Homemade ornaments serve as great keepsake items. If you are thinking of turning them into presents, you can make a set of ornaments. Supplies: undecorated ornaments, paint, glue, glitter, stickers, stick on jewels, or anything else you can attach onto an ornament. Use acrylics if you plan on painting your ornament (I am a personal fan of glow in the dark paint!). Some people who know how to sew or how their own sewing machine will often times make their own stockings. For the rest of the population, most arts and crafts store will carry plain stockings that are waiting to be decorated. I also like to stuff my stockings with something that I made myself. A great idea for homemade stocking stuffers are homemade cookies wrapped in holiday baggies. If you like, you can also personalize the cookies! Supplies: fabric, needle, thread, fabric glue, beads, glitter, fabric scissors, stickers. 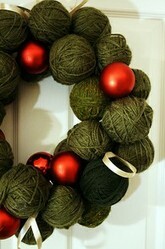 This is my favorite Christmas craft. I don’t believe in buying the pre-boxed gingerbread kits. Usually the candy they give you does not taste good, look good, or is enough for everything that I want to do. It’s actually pretty simple to make your own gingerbread house with your own supplies. Supplies: a large plate as a base, graham crackers, frosting, candies of your choice. Learn how to make your own Christmas photo cards!